According to Pawlovich, if there’s any hope for changing a medical system that evidence increasingly documents is neither meeting the needs of indigenous peoples nor substantially lessening the health disparities between indigenous and non-indigenous peoples, physicians have to radically rethink how and where medicine is delivered. 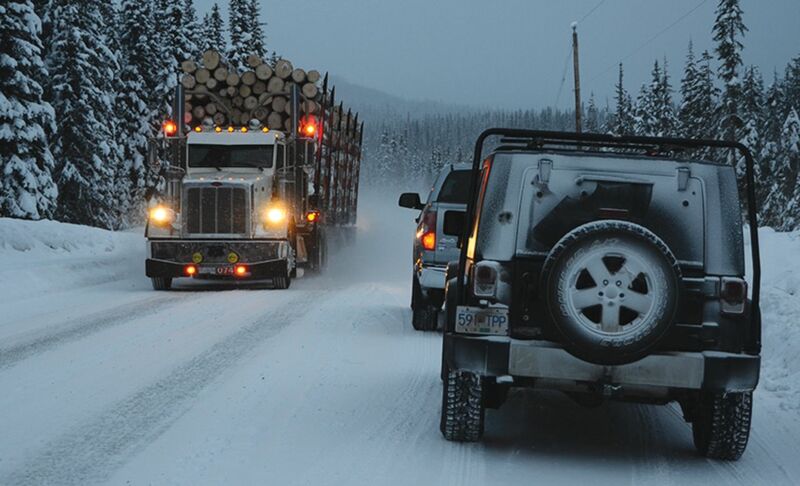 And that likely involves big trucks with tires ready to navigate the roughest of gravel logging roads. 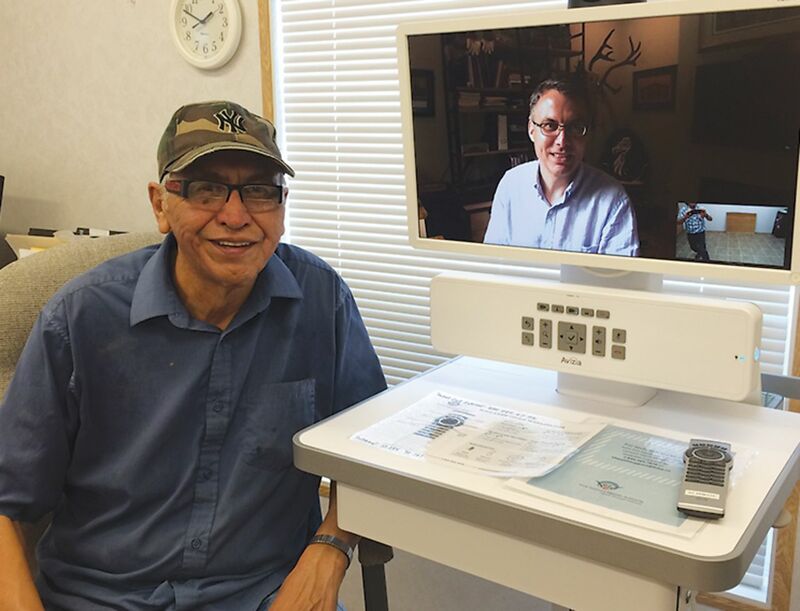 There was no defining moment when Dr John—which is what folks call him in the 5 tiny isolated reserves scattered across the 200 000 km2 of north-central British Columbia where Pawlovich practises—decided to practise family medicine differently, decided to fully dedicate his practice to marginalized First Nations communities, working with everything from teams of nurse practitioners to Skype, from specialists who ride in his 4 × 4 trucks to medical students who fly in helicopters through fog and snow to see the communities where he likes to play basketball. 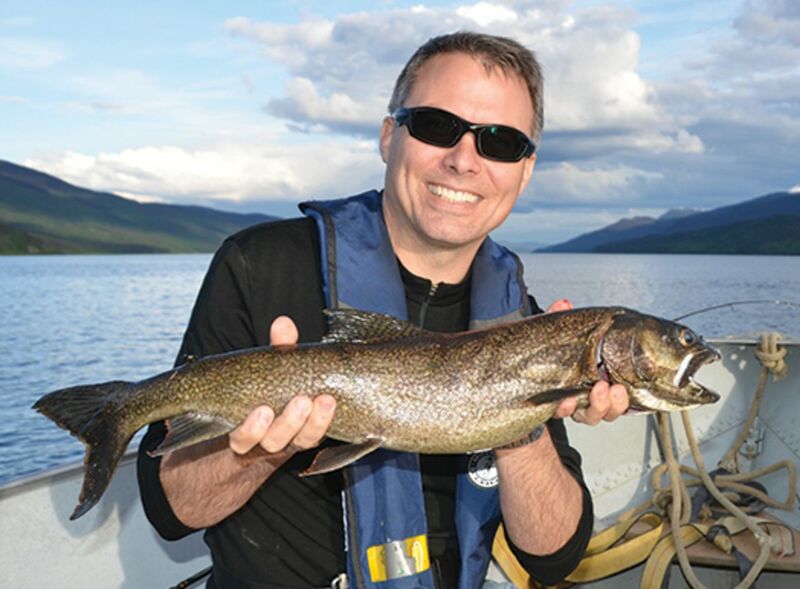 Dr Pawlovich with a Takla Lake lake trout. 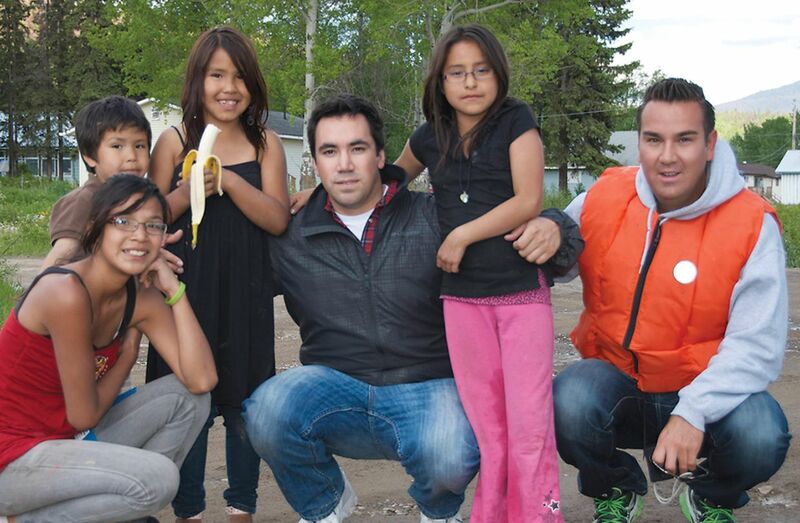 Takla youth with young doctors in training: (left to right) Kenlynn West (front), Noah Abraham, Elissa Abraham, Nathan Teegee, Tamica West, and Dr Peter Eppinga. 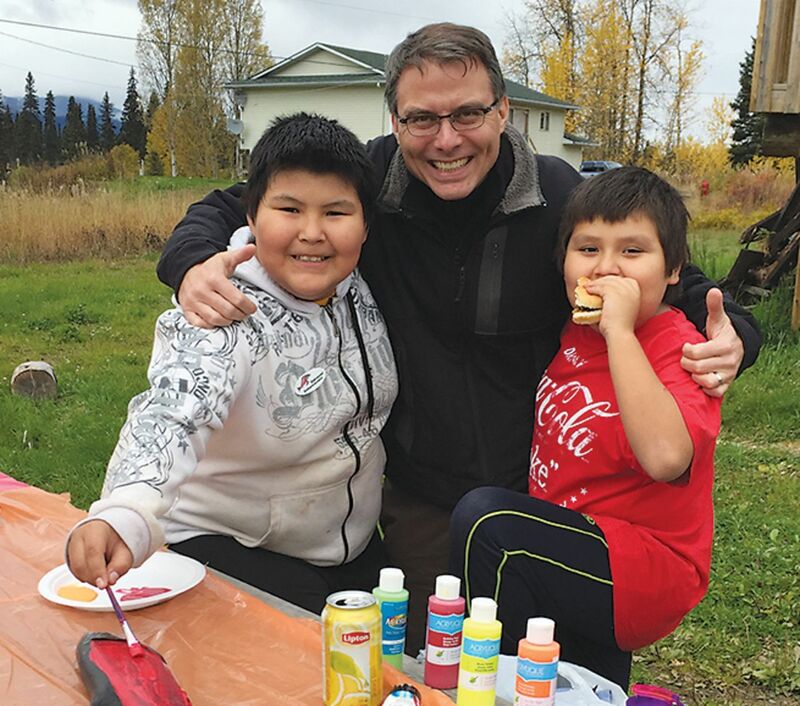 Dr Pawlovich with Jason Balczer Jr and Gentry Balczer on BC Rivers Day 2015 in Fort Babine. 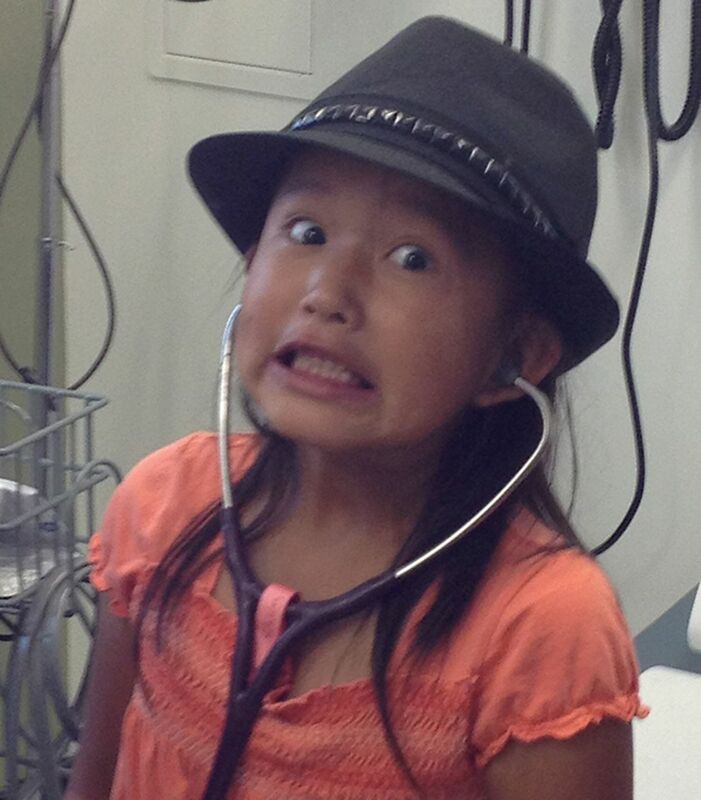 Young “MD” Trista Joseph from the Yekooche First Nation. 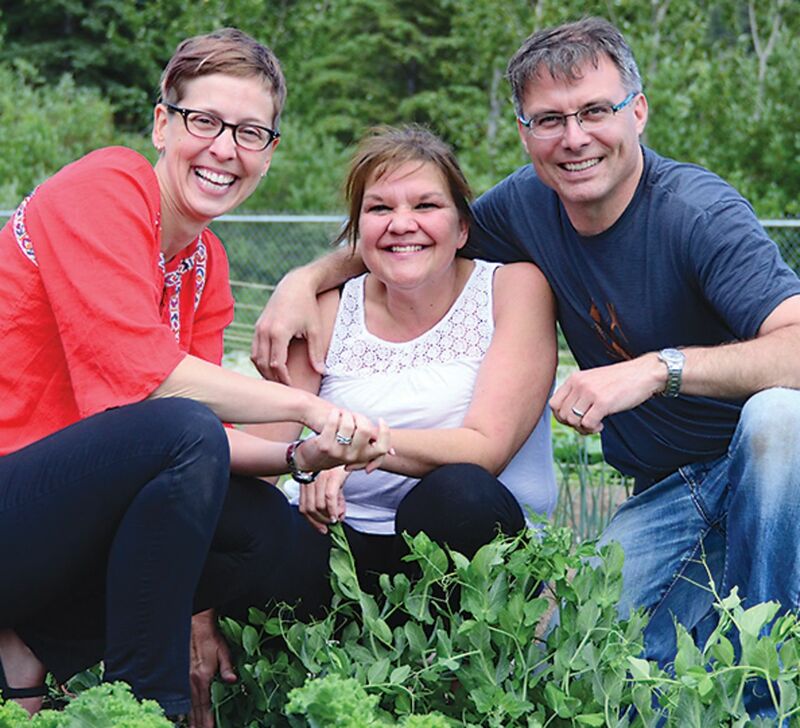 Dr Erin Knight, Cynthia Munger, and Dr Pawlovich in the Stellaquo community garden. 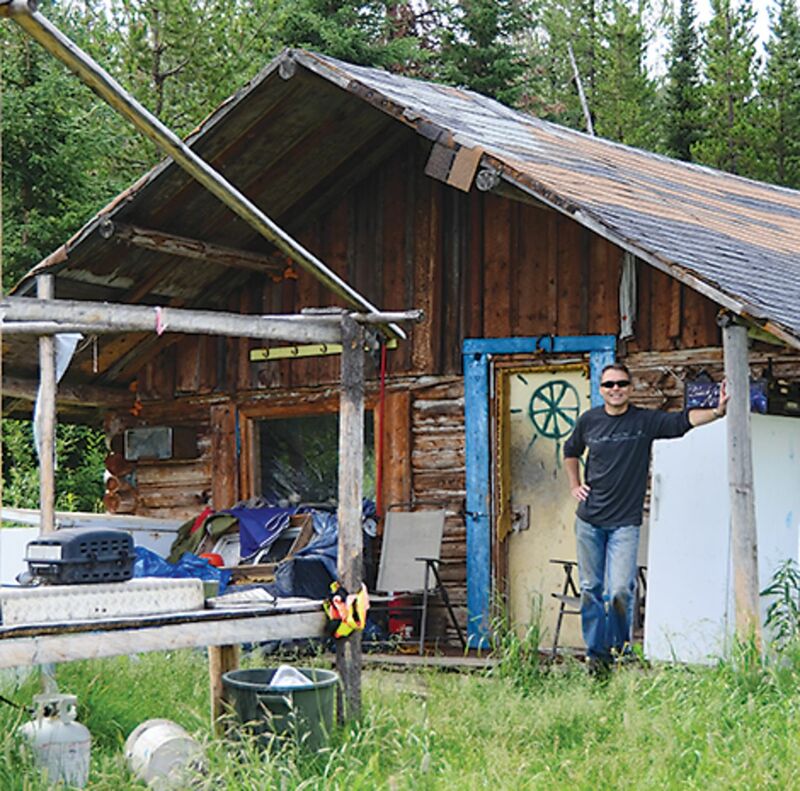 Dr Pawlovich at a Takla elder’s cabin in Hogum, BC. 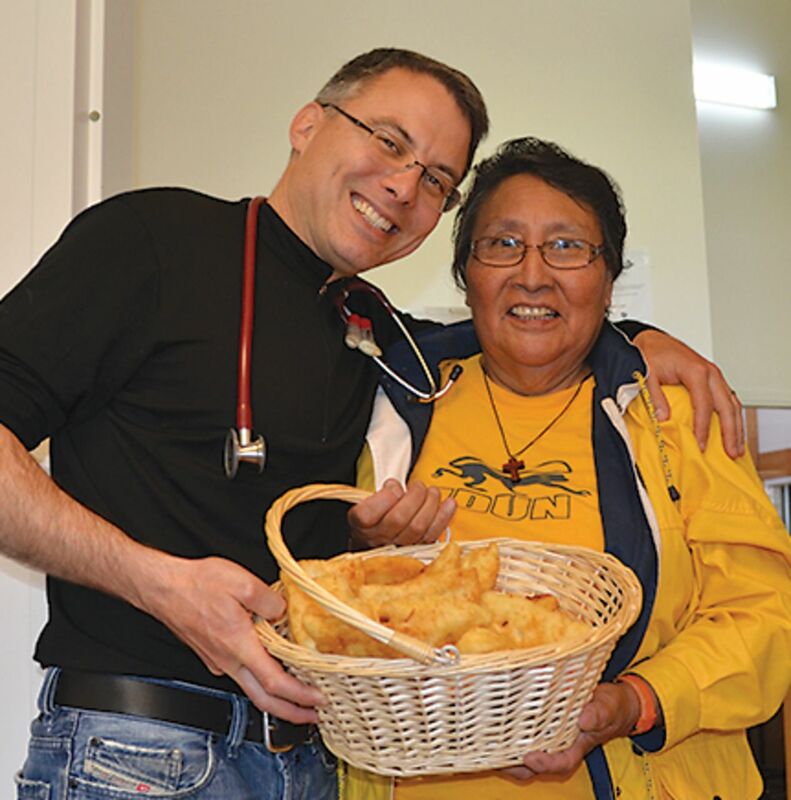 Dr Pawlovich with Julie Jacques and fresh bannock. 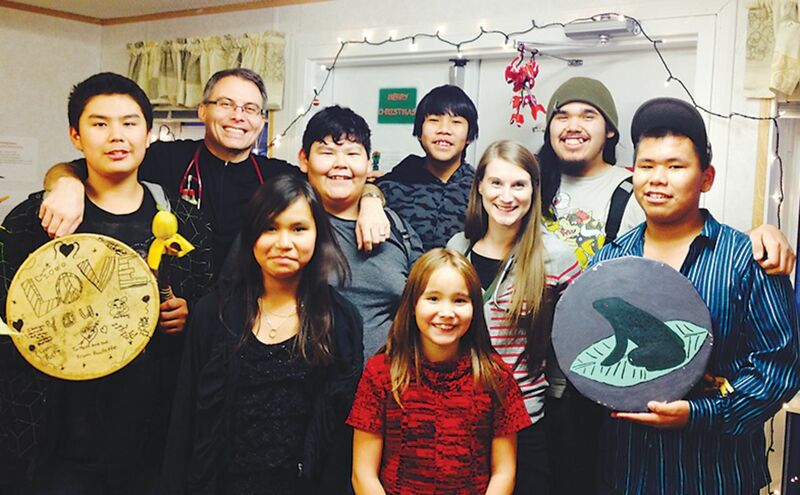 Dr Pawlovich and Dr Bria Sharkey with Tachet drummers and dancers: Vaughan Michell, Summer Michell, Christian Issack, Jordan Johnson, Anthony George, Harley George, and Caroline Michell. 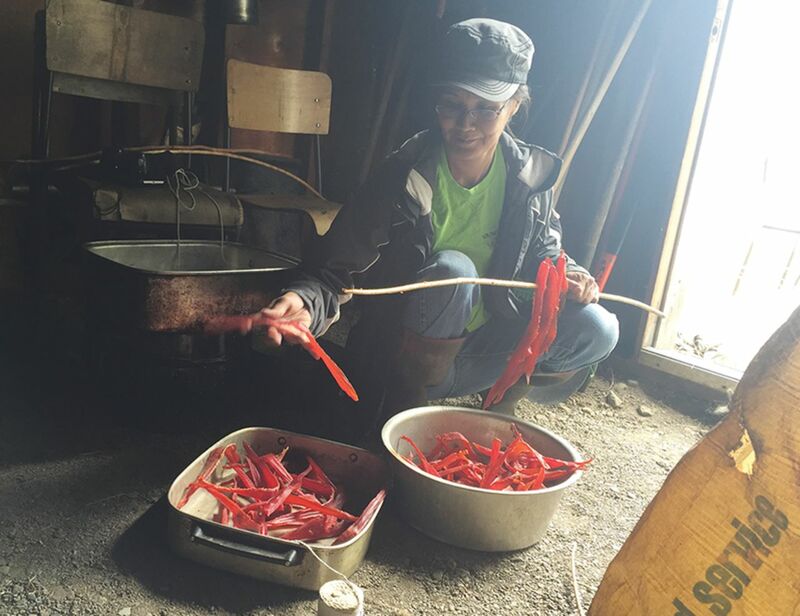 Gloria Michell in the Tachet smokehouse, and Victor Tom using the telehealth equipment. Cover photo by Dr Bria Sharkey. 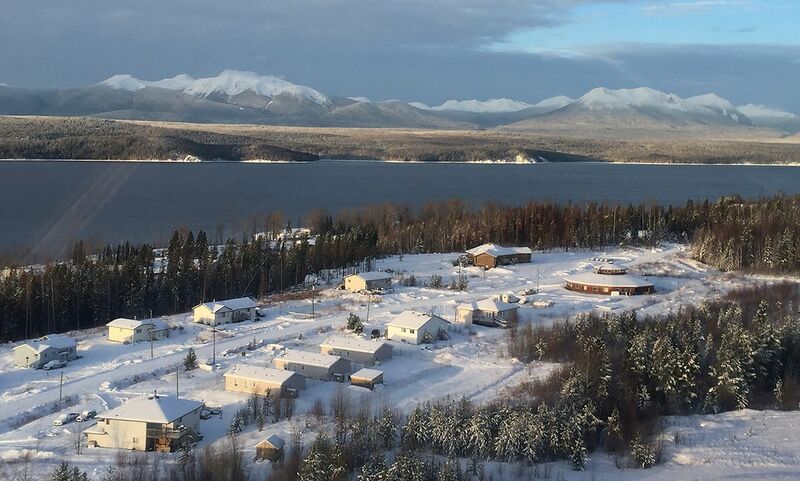 Other photos submitted by Dr Pawlovich with the generous assistance of many students and residents. Dr Pawlovich wishes to thank everyone in these pictures for generously adding to the richness of the story. The Cover Project The Faces of Family Medicine project has evolved from individual faces of family medicine in Canada to portraits of communities across the country grappling with some of the inequities and challenges pervading society. It is our hope that over time this collection of covers and stories will help us to enhance our relationships with our patients in our own communities. La traduction en français de cet article se trouve à www.cfp.ca dans la table des matières du numéro de janvier 2016 à la page e44. 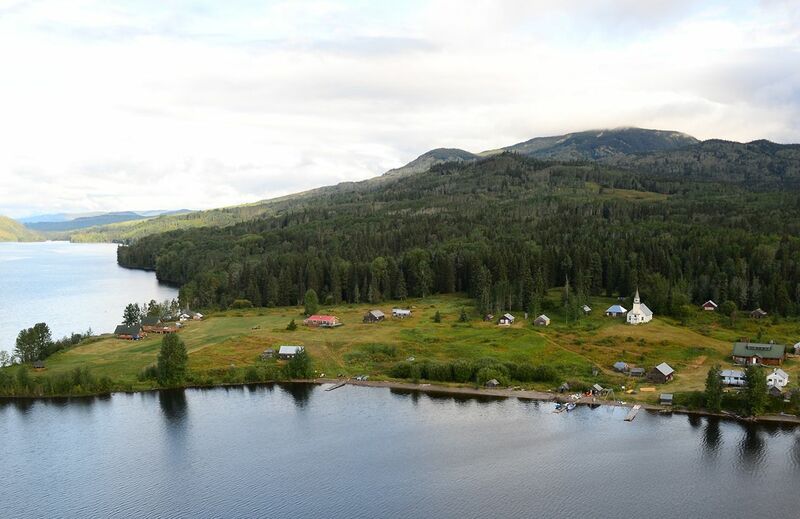 Dr Pawlovich works in British Columbia’s Northern Health Authority, supported by Carrier Sekani Family Services, an organization guided by elders and committed to healing and empowerment of aboriginal families residing in Carrier and Sekani territory.
. First Peoples, second class treatment: the role of racism in the health and well-being of indigenous peoples in Canada. Toronto, ON: Wellesley Institute; 2015.